Devonte Patterson averaged 21.4 points per game for Belmont this season. 16. 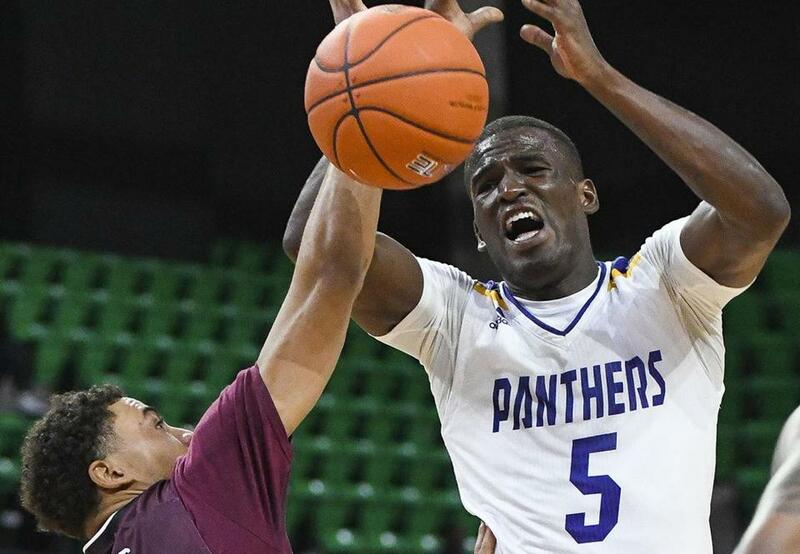 Prairie View A&M (22-12) vs. 16. Fairleigh Dickinson (20-13), 6:40 p.m., TruTV: The View has some solid players, including mobile big guy Devonte Patterson. The most interesting fact, however, is that Panthers coach Byron Smith once coached the Harlem Globetrotters. FDU has five double-figure scorers, led by senior guard Darnell Edge. This should go down to the final buzzer. 11. Temple (23-9) vs. 11. Belmont (26-5), 9:10 p.m., TruTv: It’s incredible that Belmont, a mid-major playing in the Ohio Valley Conference, was included in the field, but the Bruins deserve it. They have a great player in Dylan Windler, a mobile 6-foot-8-inch senior forward who averages 21.4 ppg, 10.7 rpg, and makes 41 percent of his threes. The team is second in the nation at 87.4 ppg and fifth in field goal percentage at 49.9. Their coach, Rick Byrd, is one of the great “unknown coaches.’’ Temple will counter with some excellent guards too in Shizz Alston (19.7 ppg) and the quixotic Quinton Rose (16.5).